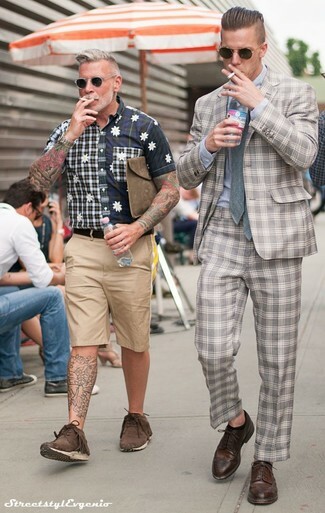 If you're after a casual yet dapper outfit, try teaming a navy plaid short sleeve shirt with tan shorts. Both items are totally comfortable and will look great together. You could perhaps get a little creative in the shoe department and spruce up your ensemble with Tod's chukka boot. 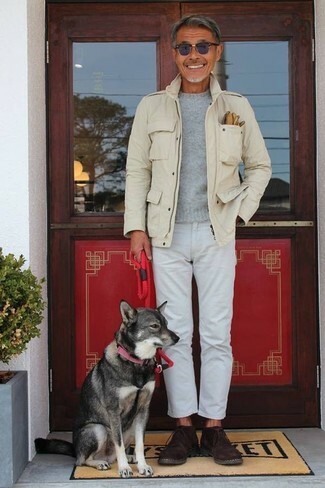 If you're searching for a casual yet on-trend getup, wear a beige military jacket and white jeans. Both pieces are totally comfortable and will look great paired together. When it comes to shoes, this outfit is round off nicely with Tod's chukka boot. 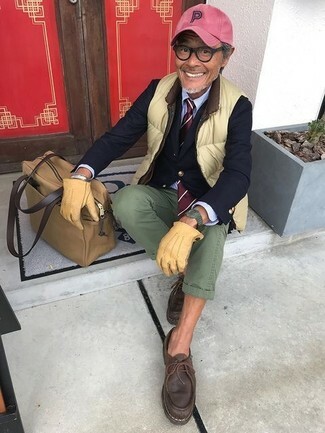 If you're looking for a casual yet sharp getup, marry a green-yellow gilet with olive chinos. As well as totally comfy, both pieces look great when paired together. When it comes to shoes, this ensemble pairs wonderfully with dark brown suede desert boots. 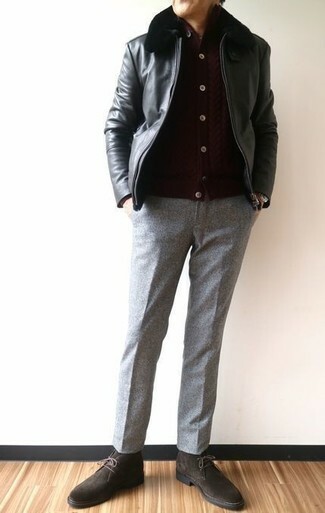 Pair a black leather bomber jacket with grey wool dress pants for a sharp classy look. Tod's chukka boot from Nordstrom will add a sportier vibe to your look. For a nothing less than incredibly stylish getup, try teaming a dark brown plaid blazer with dark brown dress pants. A pair of Tod's chukka boot from Nordstrom ads edginess to a classic style. 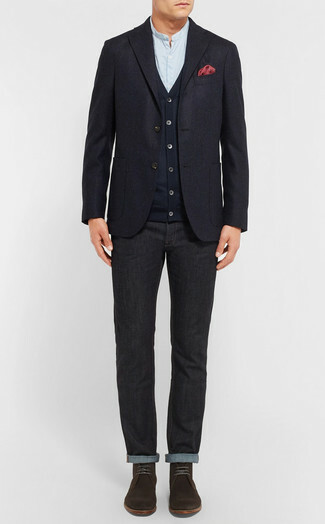 This pairing of a navy wool blazer and black jeans is so easy to pull together in next to no time, helping you look seriously stylish and ready for anything without spending a ton of time rummaging through your closet. 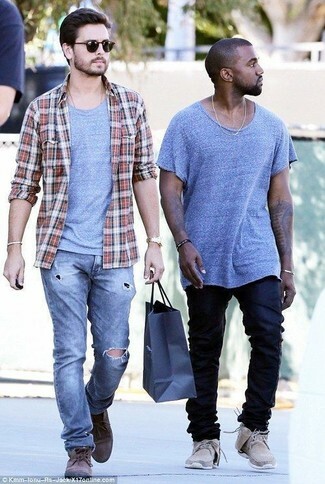 When it comes to shoes, this look is finished off wonderfully with dark brown suede desert boots. 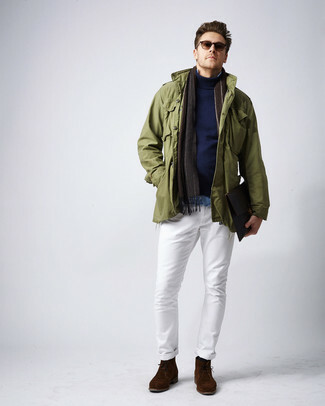 If you're in search of a casual yet dapper getup, team an olive military jacket with white chinos. Both pieces are totally comfortable and will look great paired together. When it comes to shoes, this getup is complemented nicely with Tod's chukka boot. 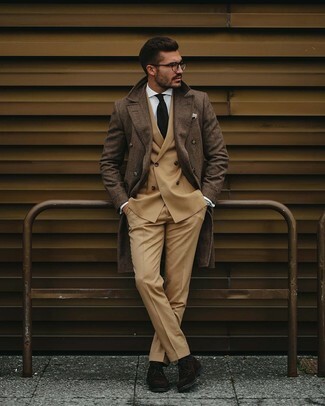 Look the best you possibly can in a brown plaid overcoat and khaki dress pants. 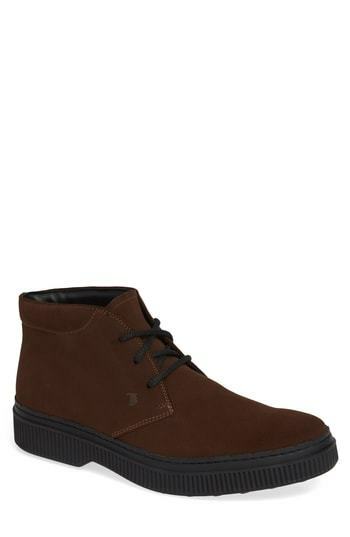 Dark brown suede desert boots will add a sportier vibe to your outfit. If you're a fan of functionality dressing when it comes to your personal style, you'll love this on-trend pairing of a white and red plaid long sleeve shirt and blue ripped jeans. Up the cool of your outfit by wearing Tod's chukka boot.